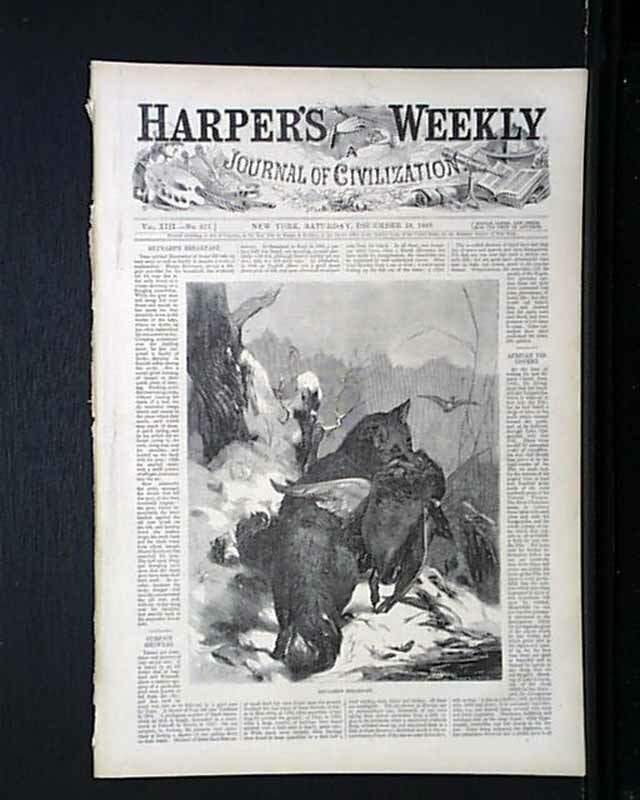 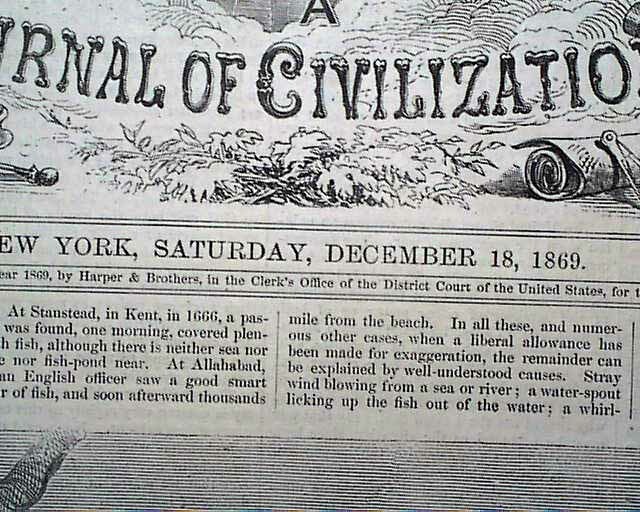 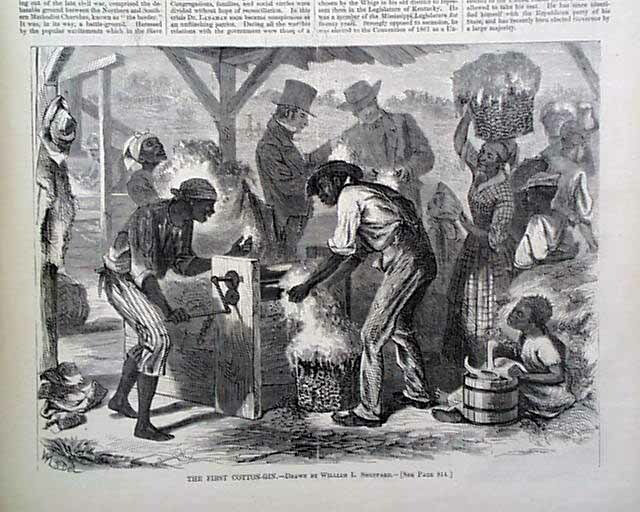 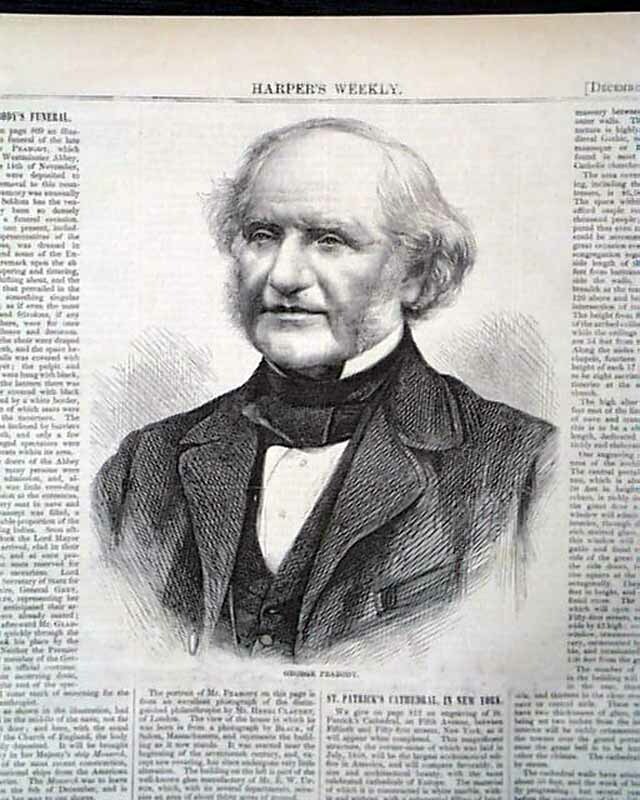 HARPER'S WEEKLY, New York, December 18, 1869 The front page features a large illustration of "Reynard's Breakfast". 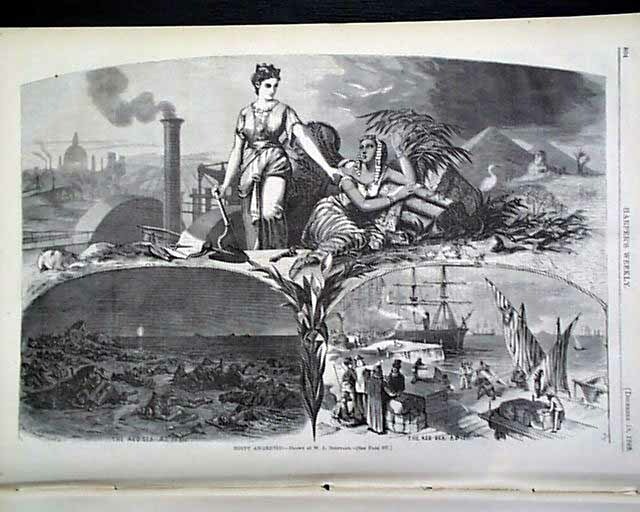 A full page of "Egypt Awakened" is comprised of three illustrations. 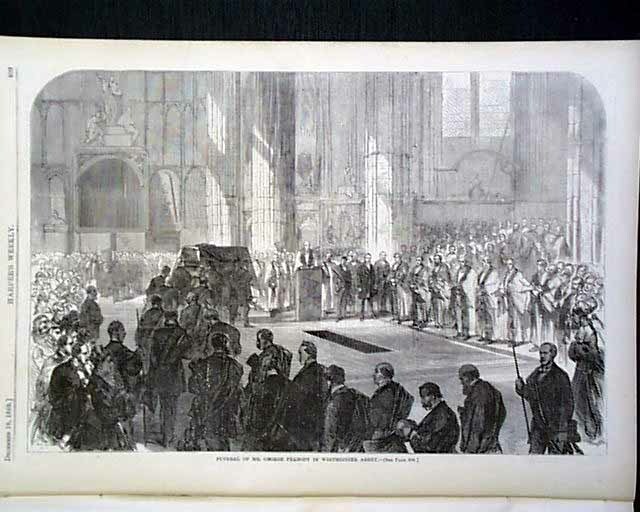 "Mr. Peabody's Funeral" article features a large illustration of him along with a fullpage illustration of the funeral. 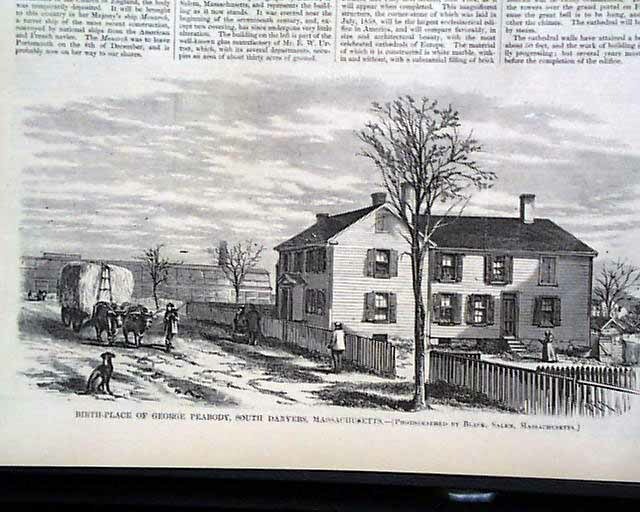 A nice fullpage illustration of 'St. 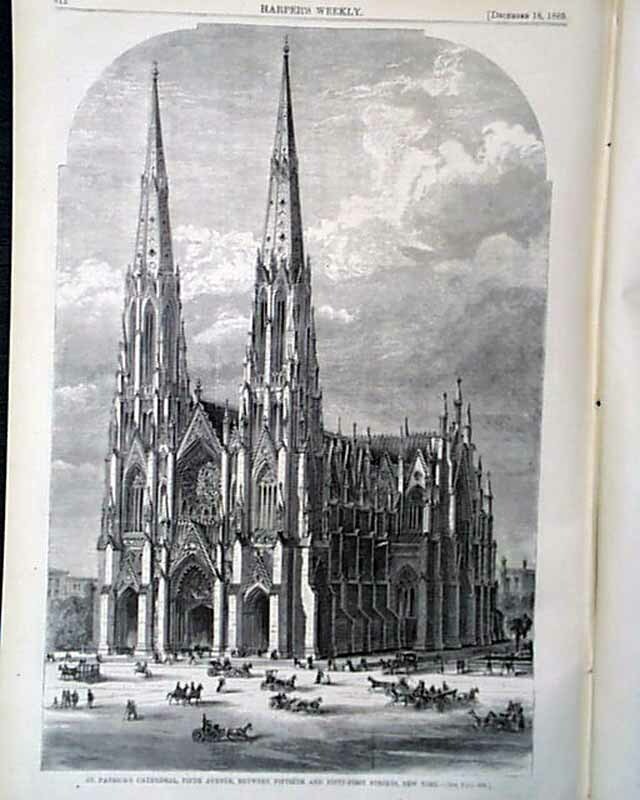 Patrick's Cathedral, Fifth Avenue, between Fiftieth and Fifty-First Streets, New York" and a nice halfpage illustration of 'The First Cotton Gin' shows Blacks operating it.